The ones along the path are those who have heard; then the devil comes and takes away the word from their hearts, so that they may not believe and be saved. And the ones on the rock are those who, when they hear the word, receive it with joy. But these have no root; they believe for a while, and in time of testing fall away. And as for what fell among the thorns, they are those who hear, but as they go on their way they are choked by the cares and riches and pleasures of life, and their fruit does not mature. As for that in the good soil, they are those who, hearing the word, hold it fast in an honest and good heart, and bear fruit with patience. 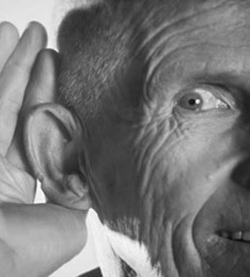 Piper concludes this sermon with a list of 10 practical ways to help us “hear” better. To read or listen to the rest of the sermon, click here.